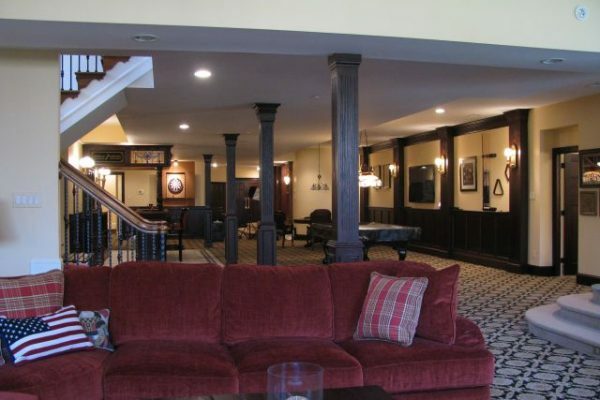 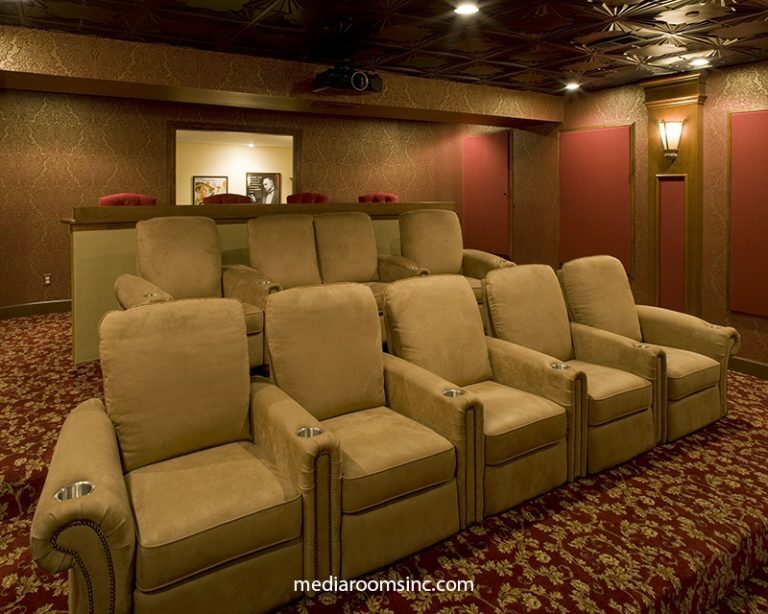 Our client wanted an elegant movie palace style home theater that worked to complement the English pub theme that was to be the focus of the balance of the basement. 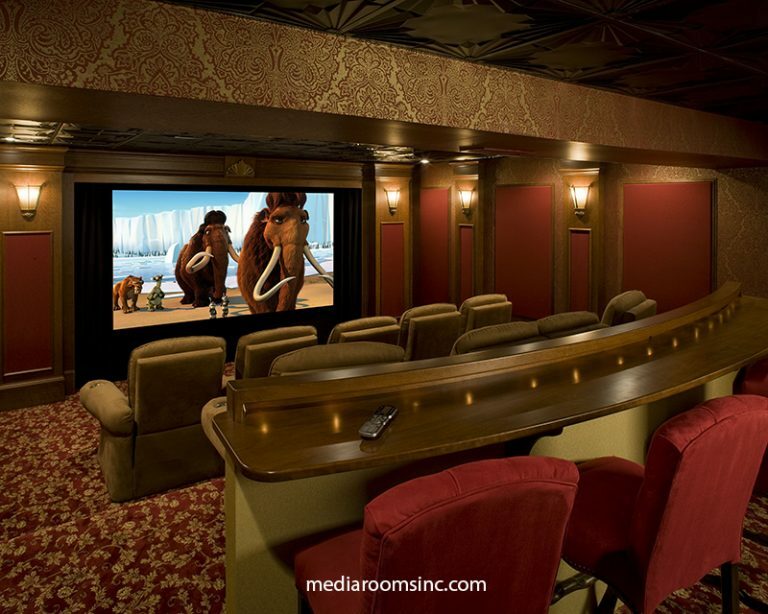 We needed to design the theater within the space parameters developed by the architect. 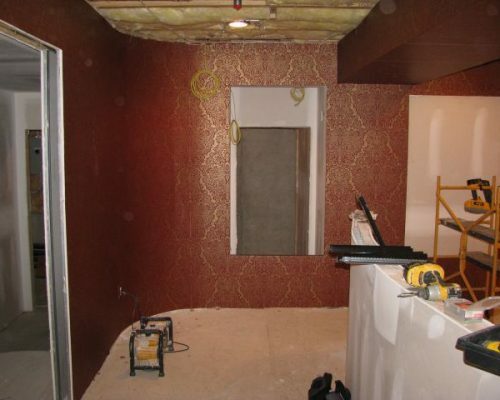 Our goal was to not have any audio video components visible in the room. 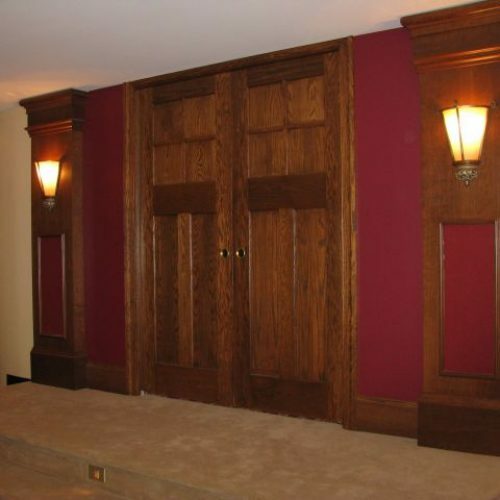 The components were located in a hidden closet, while speakers were hidden behind acoustically transparent fabric in the proscenium and columns. 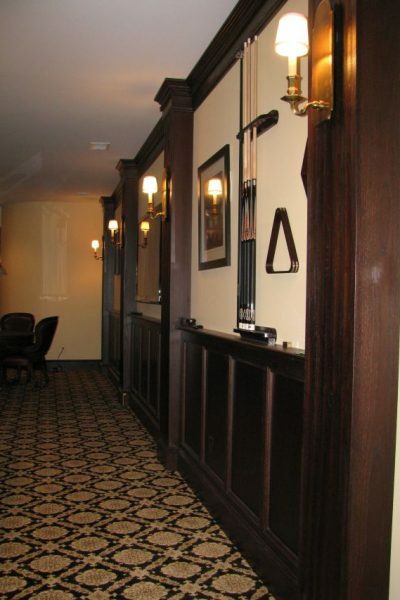 The back bar counter top was constructed with a rail to conceal low voltage lights that can provide ambient light during a movie but not interfere with the video quality. 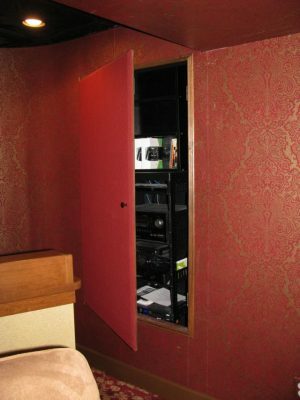 We located the audio video components in an in-wall closet and fabricated an acoustical panel door to hide the components from view. 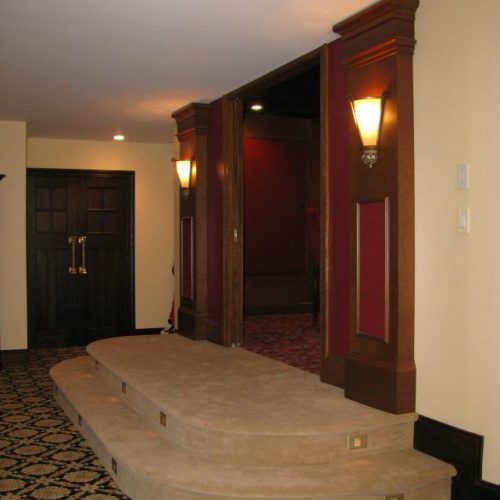 The entrance includes two pocket doors flanked by decorative columns; step lights accent the area. 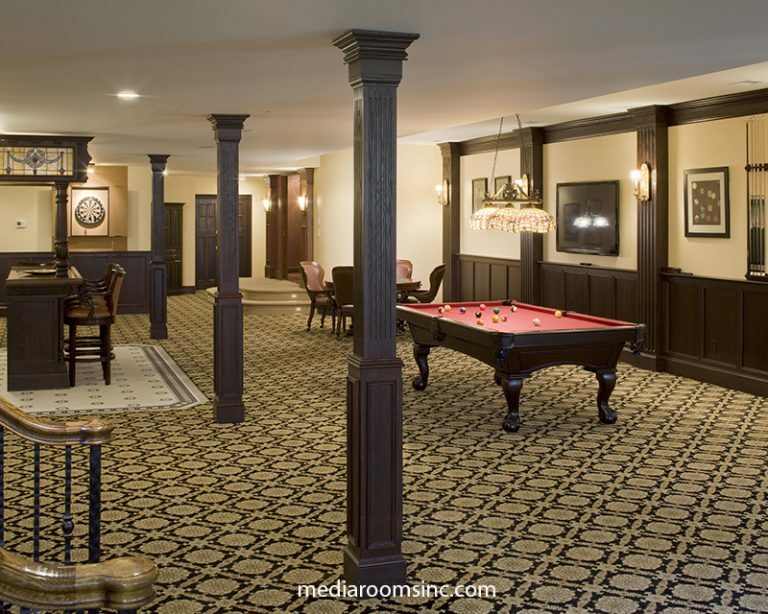 Our in-house cabinet shop designed and fabricated oak wainscoting and decorative oak columns covering lolly columns for the remaining 2600 sq ft basement.